civilians took refuge in St. La Salle Hall in Manila during World War II, believing that its walls would protect them from anything but a direct hit? despite being running mates in Manila's upcoming local elections, Alfredo Lim and Isko Moreno support different candidates in the presidential election? the Arch of the Centuries of the University of Santo Tomas at Manila was disassembled from the University's original campus at Intramuros, carried piece-by-piece, and was re-erected at the current campus at Sampaloc? while Isko Moreno was running for vice mayor in Manila in 2007, posters were distributed of him wearing only swimming briefs? Jeronima de la Asuncion (pictured) was the foundress of the first Catholic monastery in Manila and the Far East? Nick Joaquin's play, A Portrait of the Artist as Filipino, was described in The New York Times as an "engaging, well plotted metaphor for the passing of Old Manila"? Ancient Tondo became so prosperous that the Kingdom of Brunei had to attack it and set up a rival settlement to keep it in check? Arsenio Lacson was the first person to be elected to three terms as mayor of Manila? Filipino indie rock band Taken by Cars had two singles that reached the top of Manila's local radio charts before getting signed in a major record label? This article is about the city of Manila. For the greater metropolitan area, see Metro Manila. For the pre-Hispanic entity, see Kingdom of Maynila. For other uses, see Manila (disambiguation). (From top, left to right): Manila skyline, Rizal Park, Fort Santiago, Manila City Hall. Nickname(s): "Pearl of the Orient"
"The City of Our Affections"
"Distinguished and Ever Loyal City"
The City of Manila (Filipino: Lungsod ng Maynila) is the capital of the Philippines and one of the 17 cities and municipalities that make up Metro Manila. It is located on the eastern shores of Manila Bay, on the western portion of the National Capital Region, in the western side of Luzon. Manila is one of the central hubs of a thriving metropolitan area home to around 20 million people.. As of 2009, Manila ranks as the world's eleventh largest metropolitan area and the fifth largest urban area by population. Manila is also ranked as one of the most densely populated cities in the world. Manila occupies a total land area of 38.55 square kilometers, is the second most populous city in the Philippines, with more than 1.6 million inhabitants. Only nearby Quezon City is more populous. The metropolitan area is the second most populous in Southeast Asia. Manila is bordered by several cities in Metro Manila such as Navotas City and Caloocan City to the north, Quezon City to the northeast, San Juan and Mandaluyong City to the east, Makati City to the southeast, and Pasay City to the south. The Pasig River bisects the city in the middle. Almost all of the city sits on top of centuries of prehistoric alluvial deposits built by the waters of the Pasig River and on some land reclaimed from Manila Bay. The city became known by the name given, "Manila", by its Tagalog inhabitants, as Maynila, first recorded as Maynilad. The name is based on the nila, a flowering mangrove plant that grew on the marshy shores of the bay, used to produce soap for regional trade; it is either from the phrase may nila, Tagalog for "there is nila," or it has a prefix ma- indicating the place where something is prevalent (nila itself is probably from Sanskrit nila (नील) 'indigo tree'). The idea that the plant name is actually "nilad" is a myth. Under the Malay aristocracy, the city was known Seludong/Selurung, which was the same name given for the general region of southwestern Luzon at that time, suggesting that it was the capital of Ancient Tondo. It was also known as Gintu ("The Land/Island of Gold") or Suvarnadvipa by its neighbors. The said kingdom flourished during the latter half of the Ming Dynasty as a result of trade relations with China. Ancient Tondo has always been the traditional capital of the empire. Its rulers were equivalents to kings and not mere chieftains, and they were addressed as panginuan or panginoon ("lords"), anak banwa ("son of heaven") or lakandula ("lord of the palace"). Well into the 13th century, the city consisted of a fortified settlement and trading quarter at the bay of the Pasig River, on top of previous older towns. During the reign of Bolkiah (1485–1521) the Sultanate of Brunei decided to break the Kingdom of Tondo's monopoly in the China trade by attacking Tondo and establishing the city state of Selurong (now Manila) as a Burneian satellite. A new dynasty under the Salalila was also established to challenge the House of Lakandula in Tondo. Another kingdom, named Namayan, was established as a confederation of barangays that began to peak in 1175 and extended from Manila Bay to Laguna de Bay. The royal capital of the kingdom was built in Sapa, known today as Sta. Ana. In the mid-16th century, the areas of present-day Manila were part of larger thalassocracies governed by Muslim Rajahs. Rajah Sulayman and Rajah Matanda ruled the Muslim communities south of the Pasig River, and Rajah Lakandula ruled the Kingdom of Tondo, the Hindu-Buddhist community north of the river. The two Muslim communities of Sulayman and Matanda were unified into the Kingdom of Maynila. Both city-states were officially Malay-speaking and held diplomatic ties with the Bolkiah dynasty of Brunei, and the sultanates of Sulu, and Ternate. Governor-General Miguel López de Legazpi, searching for a suitable place to establish his capital after being compelled to move from Cebu to Panay by Portuguese pirates, and hearing of the existence of a prosperous sultanate in Luzon, sent an expedition under Marshal Martin de Goiti and Captain Juan de Salcedo to discover its location and potential. De Goiti anchored at Cavite, and attempted to establish his authority peacefully by sending a message of friendship to Maynilad. Rajah Sulayman, then its ruler, was willing to accept the friendship that the Spaniards were offering, but did not want to submit to its sovereignty unto them and waged war against them. As a result, De Goiti and his army attacked Maynilad on June 1570. After a stout fight, he captured the city before returning to Panay. In 1571, the unity of the Luzon Empire was already threatened by the uneasy alliance of the Rajah Matanda of Sapa, the Lakandula of Tondo, and Rajah Sulayman, the rajah muda or "crown prince" of Maynila and laxamana or "grand admiral" of the Macabebe Armada. Powerful states like Lubao, Betis and Macabebe became bold enough to challenge the traditional leadership of Tondo and Maynila. In about the same year, the Spaniards returned, this time led by López de Legazpi himself along with his entire force (consisting of 280 Spaniards and 600 native allies). Seeing them approach, the natives set the city on fire and fled to ancient Tondo and neighboring towns. The Spaniards occupied the ruins of Maynilad and established a settlement there. On June 3, 1571, López de Legazpi gave the title city to the colony of Manila. The title was certified on June 19, 1572. Under Spain, Manila became the colonial entrepot in the Far East. The Philippines was a Spanish colony administered under the Viceroyalty of New Spain and the Governor-General of the Philippines who ruled from Manila was sub-ordinate to the Viceroy in Mexico City. The Manila-Acapulco Galleon trade route between the Philippines and Mexico flourished from 1571 until 1815. Manila became famous during the Manila-Acapulco trade which brought the goods as far as Mexico all the way to South East Asia. Because of the Spanish presence in the area, the Chinese people, who were living in the area and engaging in free trade relations with the natives, were subjected to commercial restrictions as well as laws requiring them to pay tribute to Spanish authorities. As a result, the Chinese revolted against the Spaniards in 1574, when a force of about 3,000 men and 62 Chinese warships under the command of Limahong attacked the city. The said attempt was fruitless, and the Chinese were defeated. In order to safeguard the city from similar uprisings later, the Spanish authorities confined the Chinese residents and merchants to a separate district called Parian de Alcaceria. On June 19, 1591, after the commencement of the construction of a fort there, López de Legazpi made overtures of friendship with Rajah Lakandula of Tondo, which was prudently accepted. However, Rajah Sulayman refused to submit to the Spaniards and gathered together a force composed of Tagalog warriors after failing to get the support of Lakandula and that of the chieftains of Hagonoy and Macabebe. On June 3, 1571, Sulayman led his troops and attacked the Spaniards in a decisive battle at the town of Bangkusay, but were defeated. With the destruction of Sulayman's army and the friendship with Rajah Lakandula, the Spaniards began to establish themselves throughout the city and its neighboring towns. Then came the rapid Christianization of the city. The first missionaries to arrive were the Augustinians, followed by the Franciscans, Jesuits, Dominicans, Augustinians and other religious orders. The friars also began to establish schools and churches dedicated to the Christian faith, eventually spreading throughout Manila and beyond. In 1595, Manila was decreed to be the capital of the Philippines, although it had already in fact served that function practically from its founding in 1571. Legazpi then ordered the creation of a municipal government or cabildo with a set of Spanish-style houses, monasteries, nunneries, churches, and schools giving birth to Intramuros. The layout of the city was haphazardly planned during this era as a set of communities surrounding the fortified walls of Intramuros (within the walls), which was the original Manila. Intramuros, one of the oldest walled cities in the Far East, was constructed and designed by Spanish Jesuit missionaries to keep from invading Chinese pirates and native uprisings. At various times in the following century, the Chinese rose in revolt against the Spaniards. In 1602, they set fire to Quiapo and Tondo, and for a time threatened to capture Intramuros. In 1662, they again revolted, while in 1686, a conspiracy led by Tingco plotted to kill all the Spaniards. These events led to the expulsion of the Chinese from Manila and the entire country by virtue of the decrees that were made by the Spanish authorities to that effect. However, later reconciliations nearly always permitted the continuation of the Chinese community in the city. There was a brief British occupation of Manila from 1762-1764 as a result of the Seven Years' War, which was fought between France and Britain. Spain became Britain's enemy when it sided with France due to ties between their royal families. The fleeing Spaniards destroyed many of the records, and in the ensuing sack of the town by the British, many historical documents of great value were destroyed or stolen from the archives. In reality the British only controlled Manila and Cavite. But Manila was the capital, and key, to the Spanish Philippines, and the British accepted the written surrender of the Spanish government in the Philippines from Archbishop Rojo and the Real Audiencia on 30 October 1762. The city remained the capital of the Philippines under the government of the provisional British governor, acting through the Archbishop of Manila and the Real Audiencia. The terms of surrender proposed by the Audencia Real and agreed to by the British leaders, secured private property, guaranteed the Roman Catholic religion and its episcopal government, and granted the citizens of the former Spanish colony the rights of peaceful travel and of trade 'as British subjects'. Under the direction of the provisional British governor, the Philippines continued to be governed by the Audencia Real, the expenses of which were agreed to be paid for by Spain. The terms of surrender dated 29 October 1762 signed by Archbishop Rojo and the Real Audencia, and sealed with the Spanish Royal Seal, ceded the entire archipelago to Great Britain. The Seven Years War was ended by the Peace of Paris signed on 10 February 1763. At the time of signing the treaty, the signatories were not aware that the Philippines had been taken by the British and was being administered as a British colony. Consequently no specific provision was made for the Philippines. Instead they fell under the general provision that all other lands not otherwise provided for be returned to the Spanish Crown. An unknown number of Indian soldiers known as Sepoys, who came with the British, deserted and settled in Cainta, Rizal, which explains the uniquely Indian features of generations of Cainta residents. Manila fishermen, early 1800s. Original caption: Pêcheurs de Manille. From Aventures d'un Gentilhomme Breton aux iles Philippines by Paul de la Gironière, published in 1855. Being the traditional seat of education and liberal thinking in the Philippines, Manila was a rich field for anticlerical propaganda. The seeds of revolution germinated in 1886 with the publication of José Rizal's book Noli Me Tangere (Touch Me Not), a novel critical of the way the Spanish friars were governing the Philippines. The Spanish government condemned the book, and Rizal was exiled to Dapitan. In 1892, he returned to Manila to found La Liga Filipina, a nationalistic organization. Later that year, in Tondo, Andrés Bonifacio founded the Katipunan, a secret organization with aim of overthrowing Spanish colonial rule. The Katipunan movement grew until open rebellion broke out in August 1896 after its discovery by the Spaniards. Bonifacio's attack on Manila was unsuccessful. Rizal became a martyr of the revolution when the Spaniards executed him by firing squad on December 30, 1896 in Bagumbayan. After several months of fighting, a revolutionary government was formed at the Tejeros Convention in Cavite province with Emilio Aguinaldo at its head. Aguinaldo's government was also unsuccessful in its fight for independence, and as part of the Pact of Biak-na-Bato peace treaty, Aguinaldo accepted exile in Hong Kong. The Battle of Manila Bay. U.S. Troops invaded Manila in 1898 and waged war with the Spaniards and Filipinos in the Spanish–American War and the Philippine–American War. Following the defeat of Spain, U.S. forces took control of the city and the islands in one of the most brutal and forgotten chapters of Philippine American history. The American Navy, under Admiral George Dewey, defeated the Spanish squadron in the Battle of Manila Bay on May 1, 1898. Admiral Dewey testified that after the battle the Spanish Governor wished to surrender to the Americans rather than the Filipinos, whom he feared. Having just won their independence from Spain, the Filipinos were fiercely opposed to once again being occupied. Emilio Aguinaldo proclaimed the First Philippine Republic at the Malolos Congress and had begun to build the foundations for an independent nation. Admiral Dewey, however, claimed he never recognized the Philippine Republic, as he did not have the authority to do so and did not consider it an organized government. War broke out between the Filipinos and the Americans on February 4, 1899, when an American soldier shot and killed a Filipino in Manila. The Americans pursued the retreating Filipino forces province by province, until General Emilio Aguinaldo (then president of the Republic) surrendered in Palanan, Isabela, on March 23, 1901. Escolta Street in stereoptical view, 1899. American high command at that time was headed by General Otis who ordered invasion and occupation. By that time the Filipino troops had taken classic defensive positions around Manila to attempt to keep them out. However, the poorly armed, ill-trained soldiers could not compete with the superior firepower of the Americans and they lost and were severely beaten; so much so that it has been reported that the dead were used as breastworks. Under Aguinaldo's command the Filipinos began a guerrilla campaign to resist the new occupiers. This campaign had limited success in the early days following the initial occupation of the Americans although any successes were short-lived. The replacement of Otis by General Arthur MacArthur, Jr. began an extensive campaign to suppress the local population. This campaign by the USA has been reported as being a particularly bloody suppression with wild reports of commanders ordering the murder of everyone over 10 years old. Several books have been written on this war and its implications for both the local peoples and the US. In the Treaty of Paris in 1898, Spain handed over the Philippines to the United States of America for US$ 20,000,000 and ending 333 years of Spanish rule in the islands. Manila continued under an American military government until civil government was established for the city on July 31, 1901. During the American Period, some semblance of city planning using the architectural designs and master plans by Daniel Burnham was done on the portions of the city south of the Pasig River. The Philippine–American War continued through 1903 at the cost of many lives both in Manila and elsewhere in the Islands. In 1935, the United States government committed itself to granting the Philippines Independence after a ten-year transition, a period that was extended by one year due to World War II. On December 24 (Philippine time), Manila was declared an Open city. Newspapers published the text of the declaration radio stations broadcast the news of it. A huge banner bearing the words "Open city" and "No Shooting" was strung across the front of the city hall. That night the blackout ended and Manila was ablaze with lights. American combat units were ordered to withdraw from the city and all military installations removed on December 24, 1941 (Philippine time). That same day, Manila was declared an open city to spare the city from death and destruction. Despite this, the Japanese forces bombarded Manila using war planes and for the first time, Manileños experience the first air raid. Quezon issued a decree enlarging the safe zone to include outlying areas of Manila as safe zones, establishing the new administrative jurisdiction, Greater Manila. The post of mayor of Greater Manila was given to Quezon's former Executive Secretary, Jorge B. Vargas. On the evening of New Year's Day of 1942, a Japanese courier delivered notice to Vargas that Japanese forces already bivouacked at Parañaque would enter Greater Manila the following day. From 9 am to 10 am of January 2, Japanese imperial forces marched into the City of Manila. Manila after the fall of Corregidor, May 9, 1943. Vargas was tasked to hand over to the new authorities Greater Manila and present the remaining Filipino leaders to Japanese authorities. Vargas and the Filipino leaders present were asked to choose three options; (1) a purely Japanese military administration, (2) a dictatorial government run by a Filipino under General Artemio Ricarte who went on self-exile to Japan after the Filipino-American war, or (3) a government by commission selected by Filipinos. Vargas and the local leaders chose the third option and established the Philippine Executive Commission to manage initially Greater Manila, and was later expanded to cover the whole of the Philippines. Vargas assumed the chairmanship of the Philippine Executive Commission and appointed to the post of Mayor of Greater Manila in 1942, Leon G. Guinto Sr., a Secretary of Labor under the Philippine Commonwealth administration of President Manuel L. Quezon. Guinto held the position of Mayor of Greater Manila until the liberation of the city. On October 20, 1944, American and Philippine troops, led by American General Douglas MacArthur , began the reconquest of the Philippines. Gen. Tomoyuki Yamashita ordered the commander of Shimbu Group, Gen. Shizuo Yokoyama, to destroy all bridges and other vital installations and evacuate the city. However, units of the Imperial Japanese Navy, led by Sanji Iwabuchi, refused to leave the city. Thus, from February 3 to March 3, 1945, much of the city was destroyed during the Battle of Manila and 100 000 civilians were killed during the Manila Massacre. As a result of these events in World War II, Manila was the second most destroyed city in the world after Warsaw, Poland during World War II. Once Manila was officially liberated, Greater Manila was dissolved, and its towns returned to their pre-war status. On July 4, 1946, the Philippine flag was raised for the first time in Rizal Park. Arsenio H. Lacson was the first publicly elected mayor of Manila in 1951. Lacson successfully unseated the incumbent presidentially-appointed mayor Manuel de la Fuente in the first ever mayoralty election in the city. He assumed the office of mayor on January 1, 1952. He was consecutively re-elected in 1955 and 1959. Lacson forged a reputation as a tough-minded reformist mayor, and in the 1950s, he and Zamboanga City mayor Cesar Climaco were touted as exemplars of good local governance. His administration of the City of Manila is regarded as Manila's "Golden Age". At the time Lacson assumed office, Manila had around 23.5 million pesos in debt, some of which had been contracted thirty years earlier, and had no money to pay its employees. Within three years, the debt had been reduced in half,  and by 1959, the city had a budget surplus of 4.3 million pesos and paid its employees twice the amount earned by other local government employees. By that time, Lacson claimed that the income earned by Manila for the Philippines supported 70% of the salaries of the national government officials and members of Congress, as well as 70% of the expenses of the Armed Forces of the Philippines. Lacson embarked on crusades to maintain peace and order and good government in Manila. He fired 600 city employees for incompetence, and dismissed corrupt policemen. He personally led raids on brothels masquerading as massage parlors and on unauthorized market vendors. Lacson ordered bulldozers to clear a squatter colony in Malate that had stood since shortly after the war. Lacson established a mobile 60-car patrol unit that patrolled the city at all hours, and he himself would patrol the city at nights in a black police car. Lacson also established the Manila Zoo and the first city underpass, located in Quiapo, posthumously named after him. To date, no Filipino politician has replicated Lacson's success in local governance. Between 1972 and 1981, Manila and the rest of the country was placed under Martial Law by President Ferdinand Marcos. During that period, the local economy continued disintegration amid charges of overwhelming corruption by Marcos and his associates. During Ferdinand Marcos' rule, he declared Martial Law just before the election of 1972 and suspended the writ of habeas corpus. From 1972 to the February 1986 EDSA Revolution, Marcos and his generals have caused the imprisonment and disappearance of tens of thousands of social activists who opposed his extended martial rule and clamored for change through free elections. After he was deposed in February 1986, the 1081 Claimants or victims of Martial Law won a record decision against the Marcos estate when a US Court in Hawaii ruled in their favor granting them more than US$500 million dollars in compensatory damages. In 1963, Mayor Antonio Villegas worked hard for the creation of the Pamantasan ng Lungsod ng Maynila, which was to become first university in the country fully-subsidized by a local government unit. It took about two years for the bill seeking for its establishment to be passed by Philippine Congress, and eventually signed by the then-President Diosdado Macapagal. On August 21, 1983, opposition leader Benigno Aquino flew to Manila from the United States and was assassinated as he left the airplane in Manila. Increasingly, the population opposed Marcos' rule. View of the Manila skyline by night from the Harbour Square. After the People Power Revolution, Aquino's widow, Corazon, was installed as president in 1986. During the Aquino presidency, Manila witnessed six unsuccessful coup attempts, the most serious occurring in December 1989. In 1992, Alfredo Lim was elected Mayor of Manila, beating six opponents. He won re-election in 1995 with a margin of 250,000 votes, the highest majority of vote in the city’s political history. During his first two-terms in office, he earned the nickname "Dirty Harry" for his anti-crime crusades. He founded the City College of Manila that would serve to complement Pamantasan ng Lungsod ng Maynila. In 1998, Lito Atienza was elected Mayor, and he completed two more consecutive terms by being re-elected in 2001 and in 2004. His administration focused on social welfare and development as well as urban renewal and city beautification projects. Upon the end of Atienza's third term, Alfredo Lim was elected once again in 2007. Lim immediately ordered the reversal of all Atienza projects and rerouted major roadways so as to erase so-called traces of "progress" in his absence. Lim's actions to do away with Atienza's introduced changes was considered by many as a wastage of city funds. But, it was actually doing away with changes which contributed very little to the development of the city and returning life back again to Manila. Unfortunately, Atienza's midnight appointments of officials to various city government posts limits Lim's actions to truly revitalize the city. A sketch plan of Manila (original caption: Plano de Manila), 1851. This part of the old city is now known as Intramuros. Before and during the Spanish colonization of the Philippines, Manila was the provincial capital over a province whose territory at one time covered nearly all of Luzon, and included the modern territorial subdivisions of Pampanga, Bulacan, Rizal, Laguna, Batangas, Quezon, Mindoro, Masbate and Marinduque. Later, these subdivisions were themselves made provinces, leaving Manila province with a territory roughly equal to the present City of Manila proper (except Intramuros, the capital site), and the northwestern two-thirds of Rizal province. The boundary of Manila province went from northeast to southwest, including Antipolo, Cainta, Taytay and Taguig, and all of the towns north and west of them, in Manila province; and Angono, Teresa, Morong, and the towns south and east of them, in Laguna province. Early in the province's history, the provincial name was changed from Manila to Tondo Province, by which it was known for most of the Spanish era. In about 1853, four pueblos or towns of Tondo Province were joined with the northeastern towns of Laguna province to form the politico-military Distrito de los Montes de San Mateo, or District of the San Mateo Mountains. The Tondo Province annexed to this new district the towns of Cainta, Taytay, Antipolo and Boso-boso, while Laguna contributed the towns of Angono, Binangonan, Cardona, Morong, Baras, Tanay, Pililla and Jalajala. But the name of the new district proved unwieldy, too long, and misled many into thinking the town of San Mateo (in Tondo province) was the capital of the San Mateo Mountain District, when in reality the district capital was in Morong. So, in 1859, following common practice of the day, the district was renamed after its capital; namely, Morong District. At about the same time, Tondo Province was renamed Manila Province. The sketch plan of Manila by Daniel Burnham, 1905. When the Spaniards turned over the Philippines to the hands of the Americans, a civil government was formed. In about the same period, the Manila Province was dissolved by the Philippine Commission, and its pueblos were incorporated with those of the District of Morong, forming the new Province of Rizal. A few weeks, a new charter for the City of Manila, defining its boundaries and annexing some of towns of the Province of Rizal to its districts. These boundaries were slightly revised and redefined on January 29, 1902 when the suburb of Gagalangin was annexed to the city district of Tondo, and the former pueblo of Santa Ana was turned into a city district of Manila. On July 30 of the same year, the city board officially divided the city into 13 political subdivisions named as districts, and the boundaries of each were defined. On August 15 of the same year, the pueblo of Pandacan was annexed as a city district. Since then the boundaries and city districts of Manila have remained essentially the same. The destruction brought about by the Japanese forces in Manila. During World War II, the city of Manila was declared an open city and its administrative boundaries expanded to outlying cities and municipalities. It was called the Greater Manila and included districts such as Bagumbayan means New Town (South of Manila), Bagumpanahon means "New Era" (Sampaloc, Quiapo, San Miguel and Santa Cruz), Bagumbuhay means "New Life" (Tondo), Bagong Diwa means "New Order" (Binondo & San Nicholas), the then newly established Quezon City was collapsed and divided into two districts, while the municipalities of Caloocan, Las Piñas, Malabon, Makati, Mandaluyong, Navotas, Parañaque, Pasay, and San Juan became districts of Manila. In 1948, Quezon City was declared the national capital of the new Republic of the Philippines. But on May 29, 1976, President Ferdinand E. Marcos returned the national capital to Manila (in honor of its history) by virtue of the Presidential Decree No. 940, declaring that "the area prescribed as Metro Manila by Presidential Decree 824 was to be the seat of the national government. Under the Köppen climate classification system, Manila features a tropical wet and dry climate that borders on a tropical monsoon climate. Together with the rest of the Philippines, Manila lies entirely within the tropics. Its proximity to the equator means that the temperature range is very small, rarely going lower than 20°C and going higher than 38°C. However, humidity levels are usually very high which makes it feel much warmer. It has a distinct, albeit relatively short dry season from January through April, and a relatively lengthy wet season from May through December. The current mayor for the 2007-2010 term is Alfredo Lim, who is making a comeback following a three-year stint as a Senator. The city mayor is restricted to three consecutive terms, totaling nine years, although he can be elected again after an interruption of one term. Isko Moreno, the city's incumbent vice-mayor, heads the legislative arm composed of the elected city councilors, six from each of the city's six congressional districts. The city further has six representatives popularly elected to the House of Representatives, the lower legislative branch of the Philippines. Each representative represents one of the six Congressional districts of Manila. Current district representatives of the city are Benjamin Asilo (District 1), Jaime C. Lopez (District 2), Zenaida Angping (District 3), Trisha Bonoan - David (District 4), Amado Bagatsing (District 5), Bienvenido Abante (District 6). The City Seal depicts the words Lungsod ng Maynila and Pilipinas, Filipino for City of Manila and Philippines, in a circle around a shield. The circle also contains six yellow stars representing the city's six congressional districts. The shield, in the shape of pre-colonial people's shield, depicts the city's nickname Pearl of the Orient on top; a sea lion in the middle, in reference to the city's Spanish influences; and the waves of the Pasig River and Manila Bay in the bottom portion. The colors of the seal mirror that of the Flag of the Philippines. The sea lion in the seal of Manila was adopted by Singapore into its merlion. The city is divided into sixteen (16) geographical districts. Only one district was not an original town - Port Area. Eight (8) districts are located north of the Pasig River and eight (8) are in the south. San Andrés Bukid was previously part of Santa Ana, while Santa Mesa was once a part of Sampaloc. These districts should not be confused with the six congressional districts of Manila. All of these districts, with the exception of Port Area, have their own churches, and several of these districts have achieved recognition in their own right. Intramuros being the old and original enclave of Manila is a historical site. The district of Binondo is the city's Chinatown. Tondo is the densest in terms of population, the largest in land area and also with the highest poverty level. The districts of Ermita and Malate are well-known and popular with tourists, having many bars, restaurants, five-star hotels, and shopping malls while the districts of San Miguel and Pandacan hosts the official residence of the President of the country, Malacañang Palace. The former Agriculture and Finance Buildings and the Agrifina Circle in Rizal Park. The City of Manila is the capital of the Philippines and is also the seat of political power in the country. During the early years of the American colonial government, they envisioned a well designed city outside the walls of Intramuros. In nearby "Bagumbayan" or what is now Rizal Park, was chosen to become the center of government and a design commission was given to Daniel Burnham to create a master plan for the city patterned after Washington D.C. The plan was abandoned and construction was halted due to World War II. Eventually, under the Commonwealth Government of Manuel L. Quezon, a new government center was to be built on the hills northeast of Manila, or what is now Quezon City. Several government agencies have set-up base in Quezon City but several key government offices are in Manila such as, the Office of the President, the Supreme Court, the Court of Appeals, the Bangko Sentral ng Pilipinas, the Departments of Budget and Management, Finance, Health, Justice, Labor & Employment, and Tourism. Manila also hosts important national institutions such as the National Library, National Archives, National Museum and the Philippine General Hospital. Manila's economy is diverse and multifaceted. With its excellent protected harbor, Manila serves as the nation's chief seaport. In addition, it is a major publishing center for the Philippines. Diverse manufactures include chemicals, textiles, clothing, and electronic goods. Watches, iron and steel, leather goods, and shoes are also manufactured within the city. Food and beverages and tobacco products also employ many residents. Additionally, local entrepreneurs continue to process primary commodities for export, including rope, plywood, refined sugar, copra, and coconut oil. Tourism is also a thriving industry. Being one of the major tourist destinations in the country, the city attracts over 1 million visitors from all over the world annually. Many of Manila's tourist sites are found in Binondo, Intramuros and Malate. Manila also has a booming growth rate which projected to surpass that of Singapore by the year 2020. Every district in the city with the exception of Port Area has its own public market, locally called the pamilihang bayan or palengke. Public markets are often divided into two, the dry goods section and the wet goods section. Commerce in these public markets is lively, especially in the early morning. Under the urban renewal program of the incumbent administration, some of the public markets had been refurbished and given a fresher look, like the Santa Ana Public Market and the Pritil Public Market. Cheap buys or goods being sold at rock-bottom prices are available in the flea markets of Divisoria and Quiapo, where bargaining is a major shopping experience. Modern shopping malls dot the city especially in the areas of Malate and Ermita. SM City Manila, part of the country's largest chain of malls, stands behind the Manila City Hall, while the original SM Department store still operates in Carriedo in Santa Cruz. One of the popular malls that lies at the heart of Manila is Robinson's Place Ermita. In the southern part of the city in Malate district is Harrison Plaza, one of the city's oldest shopping malls. With a population of 1,660,714 and a land area of 38.55 km², Manila has one of the highest population densities of any major city in the world with 43,079 people/km². District 6 is listed as being the most dense with 68,266, followed by the first two districts (Tondo) with 64,936 and 64,710, respectively, and district 5 being the least dense with 19,235). But when accounting for the entire urban area, Metro Manila drops to 85th place with 12,550 people/km² in a land area of 1,334 km² (which includes areas beyond Metro Manila), behind even Cebu City, which ranks 80th. The vernacular language is Tagalog in the form of Filipino, while English is the language most widely used in education and business throughout the Metro Manila region. A number of older residents can still speak basic Spanish, which was a mandatory subject in the curriculum of Philippine universities and colleges, and many children of European, Arab, Indian, Latin American or other migrants or expatriates also speak their parents' languages at home, aside from English or Filipino for everyday use. Minnan Chinese (known as Lannang-oe) is spoken by the city's Chinese-Filipino community. The cosmopolitan atmosphere and cultural diversity of Manila is reflected in the number of places of worship scattered around the city. The freedom of worship in the Philippines, which has existed since the creation of the republic, allowed the diverse population to build their sacred sites without the fear of persecution. People of different denominations are represented here with the presence of Christian churches, Buddhist temples, Jewish synagogues, and Islamic mosques. Basilica Minore de San Sebastian, the only steel church in Asia. Almost 90% of the city's population are Roman Catholics. Manila is the seat of the Archdiocese of Manila, the oldest archdiocese in the country, and the Primate of the Philippines. The archdiocese's offices is located in the Manila Cathedral (Basilica Minore de la Nuestra Señora de la Immaculada Concepcion) inside the Intramuros. The city celebrates its foundation day every 24 June, hence it is under the patronage of John the Baptist. Today, aside from the Manila Cathedral (also known as the Minor Basilica of the Immaculate Conception), Manila is also home to 3 other basilicas, the Minor Basilica of the Black Nazarene, Minor Basilica of St. Lorenzo Ruiz and the Basilica Minore de San Sebastian. Being the seat of the Spanish colonial government in past centuries, it has been used as the base of numerous Roman Catholic missions to the Philippines. Among the religious orders that have gone to the Philippines include the Dominicans, the Jesuits, the Franciscans, the Augustinians, the Augustinian Recollects, the Benedictines, the Sisters of St. Paul of Chartres, the Vincentian Fathers, the Congregatio of the Immaculati Cordis Mariae, and the De La Salle Christian Brothers. Other notable churches in the city include San Agustin Church in Intramuros, the shrine of the canonically crowned image of Nuestra Señora de Consolación y Correa, a UNESCO World Heritage Site, and a favorite wedding place of notable people and one of two fully air-conditioned churches in the city; the Binondo Church, also known as Basilica Minore de San Lorenzo Ruiz; Malate Church, the shrine of Nuestra Señora de Remedios; Ermita Church, home of the oldest Marian Image in the Philippines, Nuestra Señora de Guia; Tondo Church, home of the century-old ivory image of Sto. Niño (Child Jesus); and Sta. Ana Church, shrine of the canonically crowned image of Nuestra Senora de los Desamparados. Manila is home to some of the older and larger Protestant churches in the Philippines. While most of the older churches established by American missionaries are located within the Manila city limits, a greater number of the larger churches are in the suburbs and satellite cities. After the Second World War, a great influx of foreign Protestant missionaries came to the islands among which are the Baptists, Nazarenes, Pentecostals, Christian and Missionary Alliance established churches and schools throughout the islands making Manila their headquarters of operations. The Baptist Bible Church in Santa Mesa, Manila is the first church founded under the auspices of the Baptist Bible Fellowship in 1947. Since its founding, the Springfield, Missouri-based Baptist Bible Missions have established 2000 churches in the Philippines. Aside from the Evangelical Christians, Manila is also the home of most of the country's Mainline Protestants. Today, the Pro-Cathedral of the Saint Stephen, the centre of the Episcopal Diocese of Central Philippines of the Episcopal Church in the Philippines is located at 1267 G. Masangkay Street, Sta. Cruz. Also, the mainly Ilocano revolutionary church Iglesia Filipina Independiente has its headquarters at 1500 Taft Avenue, Ermita. Both of the Episcopal Church in the Philippines and the Iglesia Filipina Independiente belong to the Anglican Communion. The largest entirely indigenous Christian church in the Philippines, and the largest independent church in Asia. Iglesia has numerous chapels and churches across the city, notable for the narrow-pointed spires. The central chapel is located on Commonwealth Avenue in Quezon City, Philippines. There are many Buddhist and Taoist temples built by the Chinese community in Manila. The Quiapo district is home to a sizable Muslim population in Manila, and The Golden Mosque is located there. In Ermita, there is a large Hindu temple for the Indian population, while a Sikh Temple is located alongside U.N. Avenue. There is also a temple of The Church of Jesus Christ of Latter-day Saints. In Malate, along Quirino Avenue, there once was a synagogue for the small Jewish community in the Philippines; a new synagogue has since been erected in neighboring Makati, along Tordesillas Street. Pamantasan ng Lungsod ng Maynila, the pioneer of local colleges and universities in the Philippines. Manila is home to majority of the colleges and universities in Metro Manila. The University Belt or U-Belt, informally located in the districts of Malate, Ermita, Intramuros, San Miguel, Quiapo, and Sampaloc is the colloquial term for the high concentration of institutions of higher education that are located in these districts. Among them are the state universities University of the Philippines in Ermita; University of Santo Tomas, the oldest higher institution of learning in the Far East founded in 1611, on Espana Boulevard; The Philippine Women's University, De La Salle University and De La Salle-College of Saint Benilde along Taft Avenue; San Beda College in San Miguel, Adamson University and St. Paul University in Ermita; University of the East and San Sebastian College in Recto Avenue; Far Eastern University in Nicanor Reyes Street; and Centro Escolar University in Mendiola Street; College of the Holy Spirit, Colegio de San Juan de Letran in Intramuros, Mapúa Institute of Technology, Lyceum of the Philippines University, Polytechnic University of the Philippines in Sta. Mesa; Philippine Normal University, Technological University of the Philippines, Philippine Christian University, Emilio Aguinaldo College, and the city-owned Pamantasan ng Lungsod ng Maynila at Intramuros. The Division of City Schools-Manila, a branch of the Department of Education, refers to the city's three-tier public education system. It governs the 71 public elementary schools, 32 public high schools, and 2 public universities. The city also plays host to Manila Science High School, the Philippines' pilot science high school; the National Museum, where the Spoliarium of Juan Luna is housed; the Metropolitan Museum, the premier museum of modern and contemporary visual arts; Museo Pambata (Children's Museum), a place of hands-on discovery and fun learning; and, the National Library, the repository of the country's printed and recorded cultural heritage and other literary and information resources. Manila, being a major city, affords various transportation options. Famous of all these forms of transportation is the public jeepney, which has been in use since the years immediately after World War II. Buses, air-conditioned metered taxi and Tamaraw FX mini-vans are also popular forms of transportation. Tricycles and Pedicabs are used for short distances. In some areas, especially in Divisoria, two stroke motors are fitted in the pedicabs and are used for goods transport. Regardless of modernity, horse-drawn calesas are still used in the streets of Binondo and Intramuros. Aside from those means of transportation, the city is serviced by the Manila Light Rail Transit System (separate from Manila Metro Rail Transit System), a national priority project designed to address the overwhelming traffic that congests the national capital. Development of the railway system began with its inception in the 1970s under the Marcos administration, making it the first light rail transport in Southeast Asia. Recently, the system saw a massive multi-billion dollar expansion in correlation with the rising population of the city; its purpose: to create an alternative form of transportation to solve the demand of an increasingly mobile workforce. Two lines service the city residents, the Yellow Line that runs along the length of Taft Avenue (R-2) and Rizal Avenue (R-9), and the Purple Line that runs along Ramon Magsaysay Blvd (R-6) from Santa Cruz, through Quezon City, up to Santolan in Pasig City. In addition, the city is the hub of a railway system on Luzon. The main terminal of the Philippine National Railways is in the Tondo district. Railways extend from this terminal north to the city of San Fernando in Pampanga and south to Legazpi City in Albay, though only the southern railway is currently in operation. PNR: (with 8 Stations) Vito Cruz, Herran (Pedro Gil), Pandacan, Sta. Mesa, España, Laong Laan, Blumentritt and Tutuban. The interior of NAIA Terminal 3. Ninoy Aquino International Airport (NAIA), eight km south of the city center, serves Manila, Metro Manila and nearby provinces. A second terminal, Terminal 2 (or the Centennial Terminal) opened in October 1999. The Philippines' official flag-carrier Philippine Airlines uses this terminal exclusively for both its domestic and international service, while all other international flights use the original NAIA terminal. A third terminal (NAIA-3) opened in August 2008. It currently houses the domestic flights of Air Philippines, PAL Express and Cebu Pacific's international and domestic flights. The main carrier serving NAIA is Philippine Airlines. KLM is the only European airline to serve the airport. The main roads of Metro Manila are organized around a set of radial and circumferential roads that radiate and circle in and around Manila proper. Roxas Boulevard, easily the most well-known of Manila's streets, line the southern shores of Manila with Manila Bay. The boulevard is part of the Radial Road 1 that leads south to the province of Cavite. Another well-known radial road is España Boulevard (part of Radial Road 7) that starts in Quiapo and ends at the Welcome Rotonda along the border with Quezon City. Pres. Sergio Osmeña Sr. Highway, part of the South Luzon Expressway or Radial Road 3 is the most important highway linking Manila with the provinces of southern Luzon. The skyline of Manila as seen from the top of a ship docked at the Manila North Harbor. There are eight major bridge spans in Manila, more than half of the number of bridges that connects the north and south banks of the Pasig River in Metro Manila. There are two rail bridges that crosses the river, the Light Rail Transit 1 and the Philippine National Railways track. The bridges listed below are in a west to east order, with the first bridge Del Pan, nearest to the mouth of the Pasig River into Manila Bay. The Port of Manila, located in the vicinity of Manila Bay, is the chief seaport of the Philippines. It primarily serves the city's commercial needs. North Harbor and South Harbor experience busy periods during long holidays such as Holy Week, All Saints Day and the Christmas holidays. The mouth of Pasig River is located here on this city. The Pasig River Ferry Service operates 17 stations along the Pasig River from Plaza Mexico in Intramuros to Pasig City. Manila is home to the office of the World Health Organization in the Philippines, main office of the Department of Health, and several hospitals and medical centers. Major hospitals such as The Asian Hospital, in Muntinlupa City and St. Luke's Medical Center, in Quezon City house world-class facilities that are comparable to major hospitals found in the United States. One of the many programs of the Department of Tourism is to promote Medical Tourism in the Philippines which hosts to a large number of wellness centers and spa facilities.The Manila Health Department, which responsible for the planning and implementation of the health programs of the city government, is operating the 44 health centers and lying-in facilities scattered throughout the city. Some of the notable hospitals in the city are the Manila Doctors' Hospital and the Philippine General Hospital in Taft Avenue; The Philippine Heart Center, National Kidney and Transplant Institute in East Avenue,Quezon City; Chinese General Hospital and Medical Center, Dr. José R. Reyes Memorial Medical Center, and San Lazaro Hospital in Santa Cruz, University of Santo Tomas Hospital in Sampaloc; and the city-owned Ospital ng Maynila Medical Center in Malate. Directly south of Intramuros lies Rizal Park, the country's most significant park. Also known as Luneta (Spanish term for "crescent-shaped") and previously as Bagumbayan ("New Town"), the 53 hectare Rizal Park sits on the site where José Rizal, the country's national hero, was executed by the Spaniards on charges of subversion. A monument stands in his honor. The big flagpole west of the Rizal Monument is the Kilometer Zero for road distances on the island of Luzon and the rest of the country. Other attractions in Rizal Park include the Chinese and Japanese Gardens, the Department of Tourism building, the National Museum of the Philippines, The National Library of the Philippines, the Planetarium, the Orchidarium and Butterfly Pavilion, an open-air auditorium for cultural performances, a relief map of the Philippines, a fountain area, a children's lagoon, a chess plaza, a light and sound presentation, the Quirino Grandstand and the Manila Ocean Park. Aside from Rizal Park, Manila has very few other open public spaces. Rajah Sulayman Park, Manila Boardwalk, Liwasang Bonifacio, Plaza Miranda, Mehan Garden, Paco Park, Remedios Circle, Manila Zoological and Botanical Garden, Plaza Balagtas and the Malacañang Garden are some of the other parks in the city. In 2005, Mayor Lito Atienza opened the Pandacan Linear Park, a strip of land that served as a buffer zone between the oil depot and the residential-commercial properties in Pandacan and could be found along the banks of the Pasig River. In the northern most part of the city lies the three cemeteries of Loyola, Chinese, and Manila North Green Park, the largest public cemetery in Metropolitan Manila. A newly opened and functional aquarium Manila Ocean Park features a wide variety of marine animals. The city offers a wide range of accommodations ranging from top-rated deluxe hotels to more affordable universal lodges. Most of these accommodations, including the world-renowned Manila Hotel, are located within Roxas Boulevard overlooking Manila Bay, or in the districts of Ermita and Malate. The popular districts of Malate and Ermita showcase a wide variety of hotels, restaurants, clubs, bars, cafes, art and antique shops. The nightlife offers everything from cultural shows to discothèques, casinos, entertainment lounges, and fashionable cafes. Right at the heart of the city lies the Intramuros, and it is the site of forts and dungeons, old churches, colonial houses, and horse-drawn carriages. other historical buildings and landmarks, parks and open spaces, museums, shopping centers, and sports facililities can be found all over the city. Chancery of the American Embassy in Manila. National Museum of the Philippines. Quiapo Church, one of the most venerated churches in the Philippines and in Asia. Imperial Manila, a political epithet to describe Manila's role in national affairs. Mega Manila, a larger, albeit geographical area of Metro Manila and nearby provinces. 1968 Casiguran earthquake, an earthquake the caused damage in Manila's Binondo district. Battle of Manila, various battles fought in the city. ^ Brinkhoff, TH.. "The Principal Agglomerations of the World". CityPopulation. http://www.citypopulation.de/world/Agglomerations.html. Retrieved 5 February 2010. ^ a b c "World Urban Areas & Population Projections". Demographia. April 2009. http://demographia.com/db-worldua.pdf. Retrieved 5 February 2010. ^ "World: metropolitan areas". World Gazetteer. http://world-gazetteer.com/wg.php?x=&men=gcis&lng=en&des=wg&srt=npan&col=abcdefghinoq&msz=1500&geo=0&srt=pnan&pt=a#aggl. Retrieved 5 February 2010. ^ a b c d Wow Philippines: Manila-Cosmopolitan City of the Philippines. Accessed September 08, 2008. ^ a b c d Manila City Population. Accessed February 02, 2009. ^ "GaWC - The World According to GaWC 2008". Globalization and World Cities Research Network. http://www.lboro.ac.uk/gawc/world2008t.html. Retrieved on 2009-03-01. ^ E.M. Pospelov, Geograficheskie nazvanie mira (Moscow 1998). ^ Pusat Sejarah Brunei. Accessed February 07, 2009. ^ Henson, Mariano A. 1965. The Province of Pampanga and Its Towns: A.D. 1300-1965. 4th ed. revised. Angeles City: By the author. ^ Filipiniana: Act of Taking Possession of Luzon by Martin de Goiti. Accessed September 06, 2008. ^ The Manila Galleon Trade. The Metropolitan Museum of Manila. Accessed February 07, 2009. ^ History of the Philippine Islands by Dr. Antonio de Morga. Accessed January 24, 2009. ^ a b History of Manila. Accessed September 08, 2008. ^ Battle of Manila Bay, 1 May 1898. Accessed September 08, 2008. ^ Admiral Dewey Testifies. Accessed September 05, 2008. ^ "Philippines, The", The Columbia Encyclopedia, Sixth Edition. 2001-07, bartleby.com, http://www.bartleby.com/65/ph/PhilipRep.html, retrieved 2009-05-14 . ^ Paul P. Rogers (1990), The good years: MacArthur and Sutherland, Greenwood Publishing Group, p. 118, ISBN 9780275929183, http://books.google.com/books?id=6momVGyl16UC . ^ a b c d MSN Encarta: Manila. Accessed September 06, 2008. Archived 2009-11-01. ^ Mayor Alfredo Lim's 100 Days. Malaya Online Newspaper. October 25, 2007. ^ I won't help my son: Manila mayor. The Australian News. March 17, 2008. ^ .Manila Vice Mayor Info City of Manila. Retrieved 20 June 2009. ^ Manila Representatives City of Manila. Retrieved 20 June 2009. ^ Manila City Government website. Accessed September 06, 2008. ^ Free hospital, health aid in Manila assured. Accessed September 09, 2008. ^ "Sister Cities of Manila". © 2008-2009 City Government of Manila. http://www.manila.gov.ph/localgovt.htm#sistercities. Retrieved 2009-07-02. ^ "Sister Cities". Beijing Municipal Government. http://www.ebeijing.gov.cn/Sister_Cities/Sister_City/. Retrieved 2009-06-23. ^ "Sister Cities of Guangzhou". Guangzhou Foreign Affairs Office. http://www.gzwaishi.gov.cn/Item/3970.aspx. Retrieved 2010-02-10. ^ "Twin City acitivities". Haifa Municipality. http://www.haifa.muni.il/Cultures/en-US/city/CitySecretary_ForeignAffairs/EngActs.htm. Retrieved 2008-02-14. ^ Mapa Mundi de las ciudades hermanadas (Spanish), Madrid.es. ^ "Eight Cities/Six Ports: Yokohama's Sister Cities/Sister Ports". Yokohama Convention & Visitiors Bureau. http://www.welcome.city.yokohama.jp/eng/tourism/mame/a3000.html. Retrieved 2009-07-18. Bayor, Ronald H (June 23, 2004), The Columbia Documentary History of Race and Ethnicity in America, Columbia University Press, ISBN 0-231-11994-1, http://books.google.com/books?id=o2eWvyig9SgC, retrieved 2009-05-14 . Blair, Emma Helen, ed. (1911), The Philippine Islands, 1493-1803, http://quod.lib.umich.edu/cgi/t/text/pageviewer-idx?c=philamer&cc=philamer&idno=afk2830.0001.003&q1=blair&frm=frameset&view=image&seq=5 , (Vol. 1, no. 3). Boot, Max (April 1, 2002), The Savage Wars of Peace: Small Wars and the Rise of American Power, Basic Books, ISBN 0-465-00720-1, http://books.google.com/books?id=0lIg-lGwqBoC, retrieved 2009-05-14 . Fish, Shirley (2003), When Britain Ruled the Philippines 1762-1764, Bloomington, Ind. : 1st Book Library, ISBN 1-4107-1069-6, http://books.google.com/books?id=RdIEAAAACAAJ . Kumar, Amitava (October 29, 1999), Poetics/Politics: Radical Aesthetics for the Classroom, Palgrave, ISBN 0-312-21866-4, http://books.google.com/books?id=AJfkKgAACAAJ, retrieved 2009-05-14 . Painter, Nell Irvin (May 1, 1989), Standing at Armageddon: The United States, 1877–1919, W. W. Norton & Company, ISBN 0-393-30588-0, http://books.google.com/books?id=5_gB8ABKAx0C, retrieved 2009-05-14 . 1 Often considered part of Central Asia. 2 Otherwise known as Taiwan. 3 Full name is Sri Jayawardenapura Kotte. 4 Formal. 5 Administrative. 6 See Positions on Jerusalem for details on Jerusalem's status. † Transcontinental country. ‡ Entirely in Southwest Asia but having socio-political connections with Europe.₮ Entirely in Melanesia but having socio-political connections with Southeast Asia. The City of Manila  (Filipino: Lungsod ng Maynila) is the cosmopolitan capital of the Philippines located in the west coast of the island of Luzon. Up until World War II, Manila was considered one of the most beautiful cities in Asia but the war put the city into complete ruins. It was the second most destroyed city after Warsaw, Poland. But this modern capital-city is the premier Christian city of Asia and considered as one of the most cosmopolitan cities in the world with a population of over 1.5 million people. Historic, bustling, awe-inspiring, Manila is a blend of cultures and flavors that offers an endless serving of places to see, sights to behold, and experiences to never forget. The old Manila very much resembles a Latin American city with many historic churches and forts, specially in Intramuros, the original city founded by the Spanish in 1571. Manila was the capital of the Spanish East Indies and for over 3 centuries received much influence from Spain, including the Catholic religion. In 1898 the Philippines were taken over by the U.S., and the country achieved independence in 1946. Up to the 1950's, most educated Filipinos spoke Spanish fluently. Today Filipinos speak English as well as Tagalog, Ilocano, Cebuano or other native languages, but the culture has much Hispanic influence. Manila has the usual developing world city problems of choking smog, traffic, appalling poverty and homeless animal overpopulation. This, however, should not dissuade any traveler from visiting this city for it is a warm, exciting and diverse place that is ripe for discovery by any adventurous tourist. English is a second language; do not worry about getting around. Traveling expenses are cheap compared to the experience tourists will be rewarded with. Delve in Manila's rich culture, hype up with the nightlife, or treat yourself to that most coveted dream vacation. For over 3 centuries Manila was colonized and administered by Spain who left a great architectural heritage throughout the Philippines, especially churches, forts and other colonial buildings. 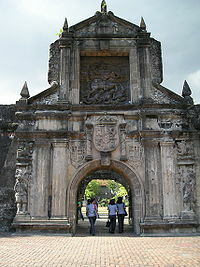 This can be seen in the old part of the city, called Intramuros (the fortified city) built in the late 16th century. Manila began as a settlement on the banks of a river, the Pasig River, and its name originates from "Maynilad" which refers to the mangrove plant known as Nilad, which was abundant in the area. Prior to the arrival of Spanish in the 16th century, Maynilad was populated by Hindu, Buddhist, and Islamic community descended from the Indians from India, Arabs settlers from the Middle East who sailed to the Philippines, and Chinese and Japanese. In 1571, 50 years after Magellan's discovery of the islands, Spanish conquistador Miguel Lopez de Legazpi claimed the Philippines as a colony and established Manila as its capital. Manila was part of the Spanish East Indies until 1898, when the U.S. took over the Philippines after the Spanish-American War. Manila is but one of 17 cities and one municipality that comprise the area known as Metro Manila or the National Capital Region (NCR) of the Philippines. The NCR is located in the southern portion of the island of Luzon, in between the Central Luzon and Southern Tagalog Regions, between Manila Bay and the inland lake of Laguna de Bay. The City of Manila, where most of the historical attractions are located, lies at the confluence of Manila Bay and the Pasig River. The City of Manila is in the western part of Metro Manila. It is bordered to the west by Manila Bay, to the north by Quezon City and Caloocan City, to the east by San Juan and Mandaluyong City and to the south by Pasay and Makati. With the Philippine's tropical climate, it basically has two seasons: wet and dry. Typhoons and tropical storms are a common occurrence during the wet season particularly in the northern part of the Philippines, occurring from late May till early November. Dry season then starts from late November until late April. December to February is a pleasant time to visit the Philippines. Temperatures during this time would range from 24-30°C (75-86°F) at its peak. From March to May, temperatures heat up but as Manila is by the coast, it rarely goes beyond 37°C (99°F). English and Filipino (Tagalog) are the common languages in the northern mainland of Luzon. Tagalog is the native tongue of most Filipinos (if not, Spanish). English comes second as a medium of instruction in any institution including businesses and the like (although some homes in the Philippines choose English as their first language; it depends upon preference). Manila is distributed into 16 territorial districts, which are all original towns except one, the Port Area District. All of these original towns except Port Area have their own churches and several of these districts have attained identification in their own right. Sampaloc - means tamarind fruit is the district wherein the University of Santo Tomas, Asia's oldest university and the famous Dangwa Flower Market is located (near Windsor Inn at Maceda Street). Ermita - one of the two Tourist Belt (another is the Malate district), it is the former Red District but now with all kinds of bars, nightclubs, cafes and also offers numeorus coin, art and antique shops. It has a lively and diverse nightlife. Ermita is also where the American Embassy is located, also Rizal Park, and Manila Bay Hostel is in the 4th floor of a pre-war building across Museo Pambata children's hospital and beside Miramar Hotel. From overseas, most visitors arrive by plane. Manila is served by three international terminals at Ninoy Aquino International Airport . Philippine Airlines (PAL) has its own terminal, called Terminal 2 (NAIA 2), that serves both international and domestic flights. PAL usually provides "seamless" transfers between their international and domestic network, which you would generally not get arriving with other carriers. At NAIA 2: at the departure area, charging stations for laptop users are available. Most other international airlines use NAIA Terminal 1, which is gradually being replaced by the newly built modern NAIA Terminal 3 (NAIA 3). Currently (Oct 2008) all Cebu Pacific flights are based at NAIA 3 with more airlines being phased over. Other domestic airlines use the old domestic terminal. All 4 terminals share the same runways. The journey between terminals can take between 5-20 minutes in a taxi depending on traffic. Be wary of this if you have a connection between a domestic and international flight. There is also a regular shuttle bus service between the terminals operated by NAIA (every 15 min, ₱20). Departure tax for all NAIA airports is ₱750 for International, and ₱200 for Domestic. The airport only accepts cash payments. Make sure that you have enough cash to pay the tax when arriving to the airport. If you do not have cash you can use one of two ATMs outside the airport. The airport has two security checks one to get to the terminal and one for departures. The ATMs are located outside of both security checks. Make sure to use the ATM before getting in or you will be forced to go out and go through security lines again. Coupon (pre-paid) taxis are available at the airports. Rates are fixed and dependent on the destination and generally are more expensive compared to what you would pay in a metered taxi. Coupon taxi counters usually are found immediately after exiting customs in both Terminals 1 and 2. Expect to pay somewhere between ₱500-600 for destinations within Metro Manila. Yellow Airport taxis are about half that price (₱200-300) and issue receipts for passengers. The everyday metered taxis -- usually white with various operator names on the side -- can sometimes be found at the Arrival Terminal so you would either need to catch one unloading at the Departure Area or outside the airport complex. This may be easier said than done however, particularly when lugging around kilos upon kilos of baggage. Regular taxis cost 100-200 Pesos for the same journey to Metro Manila, although you'll probably have to insist on using the meter, or bargain down from whatever absurd starting fare they choose to name. If you are at NAIA 3, walk towards the road from the arrival area (5 min); metered taxis park beside the road. Apart from taxis, there are no regular public transport services to the airports except for buses and jeepneys plying routes that pass nearby. It will take a few minutes' walk however before you get to a place where you can board and all this effort may not be worth the hassle so most travellers opt to take a taxi. Low cost carriers such as Air Asia and Tiger Airways utilize the Diosdado Macapagal International Airport (DMIA) in Clark, Pampanga. This can be anything from a 90-minute to three-hour ride, depending on the traffic. These airlines have dedicated bus transfer services that transport passengers to and from the DMIA via newly renovated toll roads. You can catch the bus by Philtranco  either from its terminal in Pasay City, Manila or from SM Megamall (behind building A) in Mandaluyong, Manila. From Pasay the fare is ₱350 and from SM Megamall ₱300. Departure tax for this airport has been increased to ₱500. Air travel between islands is reasonably priced, with tickets averaging ₱4,000-5,000 round trip to most popular destinations. Promotions, particularly the "Go" fares offered by Cebu Pacific airlines, have pushed domestic round trip prices to the ₱2,000-3,500 range. Cebu Pacific is the Philippines' principal Low Cost Airline. They use Ninoy Aquino International Airport Terminal 3. International routes include:- Bangkok, Guangzhou, Hanoi, Ho Chi Minh, Hong Kong, Kaohsuing, Kota Kinabalu, Jakarta, Kuala Lumpur, Macau, Osaka, Shanghai, Singapore, Taipei and Xiamen. Ferries run all over the Philippines, but should you not reserve a first class cabin be prepared for uncomfortable cramped conditions. There seems to be lax enforcement of Western safety standards. Supercats and fastcrafts connect short distances between islands on high-speed air-conditioned hydrofoil crafts. Not only do they provide a faster option than ordinary ferries, they are also much better maintained and have a remarkable safety record. Among the major routes serviced by fastcrafts in and around Manila are: Manila-Bataan, Manila-Cavite and Batangas-Puerto Galera. The Strong Republic Nautical Highway has made inter-island travel by bus possible. Major islands are connected by Roll On - Roll Off ferries which can carry cars, buses and cargo trucks. An example is the Manila to Boracay route which goes via Batangas, Calapan and Roxas in Mindoro then Caticlan. Philtranco  and ALPS The Bus, Inc.  serve various inter-island routes and has a terminal in Cubao, Quezon City. Needless to say, however, that these trips can take quite a bit of time and may not be worth the savings if you have only a few days to spend in the Philippines. Normal provincial buses serving other parts of Luzon also have terminals in various portions of Metro Manila. The Cubao area in Quezon City and the Bonifacio Monument area in Kalookan City is where buses serving the northern portions of Luzon (e.g. Baguio, Zambales) have their terminals. The Buendia Ave. or Taft Ave. intersection in Makati and the area near the Taft Ave. and EDSA intersection in Pasay is where buses to the south (e.g. Batangas, Laguna) have their terminals. The main tourist sites of Manila are located along Manila Bay. Intramuros - At the northern end of the Bay lies the remnants of the old walled Spanish settlement of Manila, Intramuros (Spanish for 'within the walls'). Intramuros contains some of the city's most interesting museums, ruins, and churches including the Manila Cathedral, the most important church in the country. Manila Hotel - Just outside Intramuros and on the edge of Manila Bay is the beautiful and historic Manila Hotel, a legacy of the American colonial era and the place where General Douglas MacArthur made his home before World War II. Rizal Park - Right outside the walled city is Rizal Park more widely known as the Luneta. The Luneta is the venue for the best museums of the city, bayside restaurants, an open-air theater featuring free classical music concerts, a planetarium, early morning jogging and tai chi enthusiasts, and the Manila Hotel. It is a popular meeting spot for family picnics and was the site of the execution of Jose Rizal, the national hero of the Philippines. Nature and Wildlife - While there are few parks or sights of natural settings within Manila if you’re looking to escape the hustle and bustle of the city it may be worth visiting Paco Park just north of Ermita and Greenbelt Park in Makati. The Manila Zoo however is a sad sight, leaving much to be desired for the animals kept there, including a lone elephant with nothing more than a concrete floor and a caged orangutan without a single branch. Many of these animals in the wild roam over territories that measure hundreds of square kilometers, yet the entire Manila Zoo is only 0.055 square kilometres. Baywalk - South of the Luneta is the renovated Baywalk a linear park adjacent to Manila Bay. This promenade has now been all but shut down by a new mayor as at July 2007, most of the bars and restaurants are just empty shells. Malacañang Palace - Manila is the host of the official residence of the president of the Philippines. While heading your way here, you will see wonderful places. People can roam the garden afterward. Chinatown - Manila has one of the largest Chinatowns in the world, where one can find exotic Chinese goods and delicious cuisine. Churches - There are some various impressive Spanish-era Cathedrals that are more impressive than old Spanish Missions in California. Among the best churches of Manila are San Agustin Church, ; the all-steel San Sebastian Cathedral; and Las Pinas and its bamboo organ. Museums' - Manila has seen a drastic improvement in its museum offerings with the recent renovation of old favorites such as the National Museum of the Filipino People and the Ayala Museum. Other must-see museums in the city are the Bahay Chinoy (Chinese House), Casa Manila, San Agustin Museum and the Museum of Filipino Political History, the "Museo Pambata" children's museum'. Plaza San Luis - A commercial complex consisting five house; Casa Manila, Casa Urdaneta, Casa Blanca, Los Hidalgos and El Hogar Filipino. Plaza San Luis showcases Filipino-Hispanic Architecture. Other than Souvenir shops there is a museum in Casa Manila. Mabini Shrine - Apolinario Mabini's former home. Mabini was a Lawyer and fought for Philippine Independence. During the American Occupation, this home became the first intellectual headquarters of the First Philippine Republic. Rizal Park - site of famous Rizal Monument, biggest public park in Metro Manila. During the Spanish Era, Filipino-Muslims take refuge in this place after the Spanish had occupied Intramuros. Apart from the bustling Philippines capital as is a remarkable melting pot of Asian and Latin cultures, which was thick with history and flavor upon most of travelors interests. The best way to get a feel for Manila shopping is to go to a ‘tiangge’, a market of stalls, where everything can be bargained. Market! Market!, St. Francis Square, Greenhills Shopping Center and Tiendesitas are examples of such. The workforce in Manila covers everything from daily, minimum wage earners to expats being driven in Beemers. Standard working time varies, especially with the proliferation of Call Centers, but the usual working hours are 8AM-5PM. Given that the traffic within the Manila escalates exponentially as the day begins, it's always better to leave early for meetings. There is also a local saying known as "Filipino Time" wherein it was expected that the attendee would be late by up to one hour. However, this has been significantly reduced through the years, although the bad traffic is usually (and realistically) cited as the main cause for missing one's appointment. Makati City is the country's main CBD, or Central Business District, and, on every given weekday, it seems that all roads lead here. Multinational firms and big businesses hold offices here. Ortigas Center, which cuts across the borders of Mandaluyong City, Pasig City and Quezon City, seems to be the alternative CBD, with companies such as the Asian Development Bank headquarters and the World Bank Manila office located in this vicinity. Manila is a huge city, so all individual listings should be moved to the appropriate district articles, and this section should contain a brief overview. Please help to move listings if you are familiar with this city. Manila has most of the usual American fastfood chains such as McDonald's, Burger King, Wendy's, Pizza Hut, Subway, Dairy Queen, Shakey's Pizza, Taco Bell, Dunkin Donuts, TGIF, Italianni's, Outback, and KFC. Jollibee, the Filipino version of McDonald's is very common in Manila. There are also other pure Filipino restaurants across the city such as Kamayan (Filipino food), Mannang (Filipino food), Mann Hann (Chinese food), Dencio's (Filipino food), Gerry's Grill (Filipino food), Nanay Q (Filipino food), Goldilocks (bakeshop), Red Ribbon (bakeshop), Greenwich (pizza and pasta), Go Nuts Donuts, Tokyo Tokyo (Japanese Food) and Chow King (Chinese Food). Coffeeshops such as Starbucks and Seattle's Best have also recently become quite common in malls and commercial centers. KrispyKreme Doughnuts has recently opened in 7 sites in Metro Manila. Meals could be as low as US$2 to 3 in most fast food joints. A typical burger meal with fries and a drink would fall under this range. Being the only former Spanish colony in Asia, Manila has the best Spanish food in the Far East. Chicharon - Deep fried pork rinds, usually eaten while having a beer. Balut - boiled duck embryo, generally safe to eat as the whole duck egg is intact and well cooked. The sight of the fully formed duckling complete with wings, ribbed feet and beak may not be too easily swallowed by the squeamish however. Banana Cue - bananas fried in hot oil coated with caramelized brown sugar and served on a barbecue stick. There is also kamote cue which is sweet potato served the same way. Barbecue - the term barbecue in the Philippines usually means bite size pieces of pork marinated,skewered and charcoal grilled. Chicken barbecue (bbq for short) is also common. Kwek Kwek and tokneneng - boiled eggs (duck, chicken or quail) covered in an orangey batter and deep fried in hot oil. Usually dipped in vinegar with onions, chili peppers and garlic. Silog - Short for sinangag (Garlic fried rice) and itlog (fried egg), silog is one of the most common and popular breakfast dishes in Manila. Typical silogs are identified by their accompanying viand, ie tapsilog (Filipino tapa, which is fried cured beef strips), longsilog (longganisa), bangsilog (bangus, or milkfish), tocilog (tocino, which is sweet cured pork), hotsilog (hotdog, and cornsilog (corned beef). Sizzling sisig - A dish made from parts of pig’s head and liver, usually seasoned with kalamansi and chili peppers. Balut Eggspress - serves balut, kwek kwek and one day old chicks, which are quite literally day old chicks marinated and fried in hot oil then eaten whole including the bones. They have a stall in the MRT Ayala Station. Nanay Q - serving special pork and chicken BBQ, liempo, grilled fish and shrimps. They also serve special Pinoy dishes such as Beef Caldereta, Menudo, Pinapaitan, Gambas and Sinigang. Sisig is also their specialty. They have branches at Robinsons Pioneer and Edsa Central. You may visit  for more info. Most sit-down and casual dining restaurants in Manila would fall under the mid-range category. You could generally eat well for under US$10 per person. At some establishments, this price will even allow you to partake of a buffet and eat to your heart's content. Terry's Selection, Lower Ground Level, Podium Mall, 18 ADB Avenue, Mandaluyong, tel: +63 2 6385725 or 26. Specialties: Tapas. Bohemian Malate, the older Ermita neighborhood and the Baywalk that stretches between them contain a variety of venues serving a combination of food, comedy, alcohol and live music. This article or section does not match our manual of style or needs other editing. Please plunge forward, give it your attention and help it improve! Manila has a lot of hotels, inns and apartelles. Most of these accommodations can be found within Roxas Boulevard overlooking Manila Bay, or in the districts of Ermita and Malate. Manila's hotel accommodations are 20 to 30 minutes away from the international and domestic airport. Ginhawa, #100 K-6th St, Kamias, Quezon City, Metro Manila. ☎ +63 2 441-0658 or mobile (63928)554-5825, (63915)3270457. Situated in the residential district of Quezon City, this place is not the usual accommodation for tourists, but very accessible to public transportation and truly affordable at the cost of ₱350 for an overnight stay. Ginhawa, which in English literally means comfort or well-being, is a half-way house for itinerant beings searching for deeper meaning and broader perspective of the Philippines in their travel experiences through cultural immersion and relational bonding with healers, transformation facilitators, environmentalists, student leaders and professionals. The house, which is some 15 minutes away from the premiere University of the Philippines, is also a well-maintained community center for integrative or complementary renewal and transformation work which draw from both eastern and western traditions, such as Reiki Healing, Dance Movement Therapy, Body-based Meditation, etc. A pick-up arrangement from the airport, anytime, any day, can be arranged at a cost of ₱500 per person. The center’s service vehicle may also be used to bring the guest/s to the nearest Metro Station, upon prior arrangement with the guest house administrators. Green Mango Inn, 365 Aguirre Ave (near El Grande Avenue & 7 houses from BPI Family Savings Bank), BF Homes, Sucat, Parañaque City, Metro Manila, the Philippines. Tel: +63 2 8208730, 7102223 or 4151692. E-mail gh_realty@yahoo.com. Nearest 4 airports, Metro Manila's only garden-style bed & breakfast guesthouse and international youth hostel with charming colonial-style architecture and handmade mother-of-pearl "capiz" seashell windows. Free WiFi for your laptop computers, also affordable internet computer. ₱250 Pesos (less than US$5 dollars!) each dorm bed with air-conditioning and and free locker, ₱700 or ₱800 for each private room good for 2 persons. Owned by young travel enthusiast to promote affordable but fun tourism. Hot & cold showers. All new rooms and facilities with international cable TV channels. Nice extensive free library. Big clean guests' kitchen, elegant patio for dining room under giant Mango tree (eat free delicious mangoes if in season!) and also beside organic vegetable garden (you can eat fresh vegetables here), lounge & social areas in reception lobby and in the veranda with orchids and hanging plants on pillars and walls. Affordable hot meals and also ice-cold delicious beers for sale 24-hours daily. No curfews. Hotel Indah Manila 350 A J Villegas St, Ermita. Tel: +63 2 5361188, 5362288. Rates start at ₱2000 This modest 76-room hotel is the ideal choice for practical travelers who demand clean and comfortable accommodation in an accessible location. Facilities include Café Indah and conference and function rooms. Comprehensive service suite includes airport and city transfers, tour assistance, and laundry service. Fersal Inn - Manila #1455 A. Mendoza St corner Alvarez St Sta. Cruz. Tel: +63 2 9112161 loc. 148 DL: +63 2 9122691. Discount hotel in Manila - Official website of Fersal Inn-Manila in Manila. Strategically close to the university belt, malls, shipping lines, night markets, and parks. Nichols Airport Hotel 'brings' you nearer (just 5 minutes away!) to your Airports (NAIA Terminal 1 and 3, Centennial Airport, and Manila Domestic). It is situated 5 minutes away from the new tourist shopping destination, the world's third largest, the SM Mall of Asia. Makati And Manila's Commercial districts are just 15 minutes away. There are many major international hotel chains which have a presence in Metro Manila. Rates are still generally cheaper here compared to the same class of hotels in western cities. A stay in these hotels however, would be considered a luxury by Philippine standards particularly since these rates would represent a month's income for some Filipinos. The Manila Hotel, One Rizal Park, Roxas Blvd. tel: +63 2 5270011, Fax: +63 2 5270022, . Right beside Rizal Park and a short distance away from Intramuros and the Baywalk Area in Manila. Payphones are very common in the city center. The use of mobile phones is also very extensive. To use your mobile phone, it has to be at least a dualband GSM phone. Globe and Smart are the Philippine's largest mobile carriers and they invite you to use them as a roaming partner (inquire from your home carrier if they have Globe and Smart as a roaming partner). To call anywhere within Metro Manila, simply dial the 7-digit telephone number from a payphone or a landline. If you need to call anywhere else within the Philippines, dial 0 + area code + telephone number. To make an international phone call, dial 00 + country code + area code + telephone number. Internet cafes have become a common sight in Metro Manila. Most malls would have at least one internet cafe. Most internet cafes provide broadband speeds. Netopia and Pacific Internet are common chains. Netopia also has a branch at the MRT Ayala Station. Cheap overseas calls can be made at Netopia branches via their VOIP service. Most coffee shops now also have WiFi services available so you can surf the net while sipping a cuppa. Airborneaccess.net and WIZ are the most common WiFi providers. Ask around if usage is free of charge, otherwise, as the case is often, you will have to buy an internet access card at the counter. Manila is a city where one should exercise caution. A popular scam as of recent days is for someone to approach you and pretend they recognize you. They will say they work at your hotel (i.e. room service, security, or whatever) and that they know you from there. They then say it is their day off and since they just happened to bump into you they want to show you something nice that is nearby; perhaps only a 2 or 3 minute ride away by taxi. They may be very convincing even to a seasoned traveler. It’s a scam. Do not ever get into a car or go anywhere with anyone you don’t know (the trick to making this scam work is that they try to convince you that they DO know you and have helped you at the hotel on a previous occasion). Of course, if you ask them which hotel they will not be able to answer. They are best fended off if you just ignore them, or if they persist, say something like "Are you going to leave me alone or should I call the police?" This makes them do an about face and leave pretty quickly. Theft is common as well as pick pocketing. You should act cautiously as you would in any American or European city, especially considering if you do not look Filippino, theives and scam artists are likely to see you as an easy target. Travelers from other Asian nations especially South East Asians should have no problem blending in with the crowd however. One has to use common sense of course. Don't wear valuable jewelry or anything else to broadcast your wealth. Displaying that expensive mobile phone or digital camera out in the open is also a good way to attract the undue attention of petty thieves. Around the capital are numerous attractions for people desiring a quick daytrip away from the hustle and bustle of this mega-metropolis. 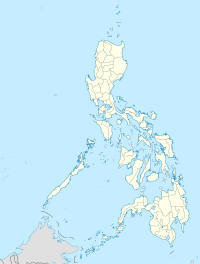 Metro Manila (around Manila) is an administrative region where Manila is located. Manila is just one of the cities in this region of over 600km2. Many historical landmarks can be found within this region such as Manila's University of Santo Tomas, Quezon City's Memorial Circle, Pasig's Ninoy Aquino Airport and many other landmarks. Tagaytay (1 hr south of Manila) is a city located on a ridge overlooking Taal Lake. The spectacular view of the Taal volcano in the middle of the lake, combined with the exquisite cuisine from the numerous ridge-side restaurants has made this a favorite weekend excursion for Manila residents. Taal (1 hr south of Manila, near Tagaytay) is a heritage town containing many Spanish period homes that were built from the spoils of coffee, sugar and other 19th century export crops. A number of these homes have been turned into heritage museums that allow one to imagine what life was like during those times. Antipolo City (30 km east of Metro Manila) Manilans make their annual summertime pilgrimage to the shrine of the Nuestra Senora dela Paz y Buenviaje (Our Lady of Peace and Good Voyage) in this hilltop town. Once there, you can partake of the delicacies such as roasted cashew nuts and kalamay (glutinuous rice pudding). The Hinulugang Taktak Falls are nearby and prove a welcome respite to the city's hustle and bustle. On the way up to Antipolo via the Sumulong Highway are restaurants and bars which provide an excellent view of the Metro skyline. Subic Freeport Zone (2 1/2 hr north of Metro Manila) This former American military base has been converted into an industrial park and ironically, an eco-tourism zone. Within the confines of the freeport one can partake of practically all of the activities that most tourists generally experience in the Philippines: sun-tanning on white sand beaches, bay side dining, studying English, forest canopy walking, wreck diving, casino gaming, survival trekking with native Aeta guides, bar hopping, golfing, getting a massage (one spa even offers synchronized massage with two masseuses) and other spa treatments, outlet shopping, you name it. Baguio (5 hr from Metro Manila by bus, 50 min by plane) lies further north and up in the mountains of the Cordilleras. With its cool climate and pine trees, Baguio is said to be the summer capital of the Philippines. Beaches There are a number of beach resorts within a couple of hours drive from Manila for those in search of the sand and sea. The closest among the top resorts is Caylabne in Cavite, a little more than an hour away from the metropolis. The towns of Nasugbu, Tali, San Juan and Calatagan in Batangas are lined with beach resorts for people of different budgets. North of Manila are the beaches of Bataan and Zambales. Montemar Resort in Bataan is accessible by fastcraft and van from Manila Bay in one and a half hours. The beaches of Zambales cluster in and around the Subic Bay freeport. Scuba diving For those wanting to experience spectacular dive, the seaside resorts near Anilao in Batangas offer breathtaking dive spots. Anilao is where most Manila residents get their diver's license. Sabang (Philippines) is also another option for a short dive trip (popular for weekends) that does not require a plane but offers great diving. History A must-see for any history buff is Corregidor Island. Corregidor is one of the last Philippine strongholds the Americans ceded to the Japanese in World War II. The various facilities and barracks used are still there for all to see. The gun emplacements are still there, as are the skeletons of several of the buildings, all with evidence of battle damage. Tours are run from the docks in Manila (near the Philippine Cultural Center). The fee includes the boat out and back, the guided tour, and a lunch. MANILA, the capital city and principal port of the Philippine Islands, situated on the W. coast of the island of Luzon, on the E. shore of Manila Bay, at the mouth of the Pasig river, in lat. 14° 35' 31" N., and in long. 120° 58' 8" E. It is about 4890 m. W.S.W. of Honolulu, 6990 m. W.S.W. of San Francisco, 628 m. S.E. of Hong-Kong, and 1630 m. S. by W. of Yokohama. Pop. (1876), 93,595; (1887), 1 7 6 ,777; (1903), 219928. Of the total population in 1903, 185,351 were of the brown racer. 21,838 were of the yellow race, 7943 were of the white race, and 232 were of the black race (230 of those of this race were foreign-born), and 4564 were of mixed races; of the same total 131,659, or nearly 60% were males. The foreign-born in 1903 numbered 29,491, comprising 21,083 natives of China, 4300 natives of the United States of America, 2065 natives of Spain, and 721 natives of Japan. Nearly all of the brown race were native-born, and 80 6% of them were Tagalogs. The city covers an area of about 20 sq. m. of low ground,. through which flow the Pasig river and several esteros, or tidewater creeks. To the west is the broad expanse of Manila Bay, beyond which are the rugged Mariveles Mountains; to the eastward the city extends about half-way to Laguna de Bay, a lake nearly as large as Manila Bay and surrounded on three sides by mountains. On the south bank of the Pasig and fronting. the bay for nearly a mile is the " Ancient City," or Intramuros,. enclosed by walls 22 m. long, with a maximum height of 25 ft.,. built about 1590. Formerly a moat flanked the city on theland sides, and a drawbridge at each of six gates was raised every night. But this practice was discontinued in 1852 and the moat was filled with earth in 1905. In the north-west angle of the walled enclosure stands Fort Santiago, which was built at the same time as the walls to defend the entrance to the river; the remaining space is occupied largely by a fine cathedral, churches, convents, schools, and government buildings. Outside the walls the modern city has been formed by the union of several towns whose names are still retained as the names. of districts. The Pasig river is crossed by two modern steel cantilever bridges. Near the north-east angle of Intramuros is the Bridge of Spain, a stone structure across the Pasig, leading to Binondo, the principal shopping and financial district;. here is the Escolta, the most busy thoroughfare of the city, and the Rosario, noted for its Chinese shops. Between Binondo and the bay is San Nicholas, with the United States customhouse and large shipping interests. North of San Nicholas is Tondo, the most densely populated district; in the suburbs, outside the fire limits, the greater part of the inhabitants live in native houses of bamboo frames roofed and sided with nipa palm, and the thoroughfares consist of narrow streets and navigable streams. Paco, south-west of Intramuros, has some large cigar factories, and a large cemetery where the dead are buried in niches in two concentric circular walls. Ermita and Malate along the bay in the south part of the city, San Miguel on the north bank of the river above Intramuros, and Sampaloc farther north, are the more attractive residential districts. Most of the white inhabitants live in Ermita and Malate, or in San Miguel, where there are several handsome villas along the river front, among them that of the governor-general of the Philippines. The better sort of houses in Manila have two storeys, the lower one built of brick or stone and the upper one of wood, roofed with red Spanish tile or with corrugated iron; the upper storey contains the living-rooms, and the lower has servants' rooms, store-houses, stables, carriage-houses and poultry yards. On account of the warm climate the cornices are wide, the upper storey projects over the lower, and the outer walls are fitted with sliding frames. Translucent oyster shells are a common substitute for glass; and the walls are whitewashed, but on account of the frequency of earthquakes are not plastered. More than one half of the dwellings in the city are mere shacks or nipa huts. Few of the public buildings are attractive or imposing. There are, however, some churches with graceful towers and beautiful facades and a few attractive monuments; among the latter are one standing on the Magellan Plaza (Plaza or Paseo de Magellanes) beside the Pasig, to the memory of Ferdinand Magellan, the discoverer of the islands; and another by A. Querol on the shore of the bay, to the memory of Don Miguel de Legaspi (d. 1572), the founder of the Spanish city, and of Andres de Urdaneta (1498-1568), the Augustinian friar who accompanied Legaspi to Cebu (but not to what is now Manila). Many improvements have been made in and about the city since the American occupation in 1898. The small tramcars drawn by native ponies have been replaced by a modern American electric street-railway service, and the railway service to and from other towns on the island of Luzon has been extended; in 1908, 267 m. were open to traffic and 400 m. were under construction. Connected with Manila by electric railway is Fort William McKinley, a U.S. army post in the hills five miles away, quartering about 3000 men. The scheme for dredging some of the esteros in order to make them more navigable and for filling in others has been in part executed. But the greatest improvement affecting transportation is the construction of a safe and deep harbour. Although Manila Bay is nearly landlocked, it is so large that in times of strong winds it becomes nearly as turbulent as the open sea, and it was formerly so shallow that vessels drawing more than 16 ft. could approach no nearer than two miles to the shore, where typhoons of the southwest monsoon not infrequently obliged them to lie several days before they could be unloaded. Two long jetties or breakwaters have now been constructed, about 350 acres of harbour area have been dredged to a depth of 30 ft., and two wharves of steel and concrete, one 600 ft. long and 70 ft. wide, and the other 650 ft. long and iBD ft. wide, were in process of construction in 1909. The Pasig river has been dredged up to the Bridge of Spain to a depth of 18 ft. and from the Bridge of Spain to Laguna de Bay to a depth of 6 ft. The construction of the harbour was begun about 1880 by the Spanish government, but the work was less than one-third completed when the Americans took possession. Among other American improvements were: an efficient fire department, a sewer system whereby the sewage by means of pumps is discharged into the bay more than a mile from the shore; a system of gravity waterworks (1908) whereby the city's water supply is taken from the Mariquina river about 23 m. from the city into a storage reservoir which has a capacity of 2,000,000,000 gallons and is 212 ft. above the sea; the extension of the Luneta, the principal pleasure-ground; a boulevard for several miles along the bay; a botanical garden; and new market buildings. Manila has a spring and summer hot season, an autumn and winter cooler season, a summer and autumn rainy season, and a winter and spring dry season. For the twenty years1883-1902the annual average of mean monthly temperatures was 26.8° C., the maximum being 27.4° in 1889 and 1897, and the minimum 26.2° in 1884. From May until October the prevailing wind is southeast, from November to January it is north, and from February to April it is east. July and August are the cloudiest months of the year; the average number of rainy days in each of those months being 21, and in February or March only 3. The annual average of rainy days is 138: 94 in the wet season (average precipitation for the six months, 1556.3 mm.) and 44 in the dry season (average precipitation for the six dry months, 382 mm.). Thunderstorms are frequent and occasionally very severe, between May and September; the annual average of thunderstorms for the decennium1888-1897was 505, the greatest frequency was in May (average 100.3) and in June (average 90.7); the severity of these storms may be imagined from the fact that in a half-hour between 5 and 6 p.m. on the 21st of May 1892 the fall (probably the maximum) was 60 mm. The air is very damp: for the period1883-1902the annual average of humidity was 79.4%, the lowest average for any one month was 66.6% in April 1896 (the average for the twenty Aprils was 70.7), and the highest average for any one month was 89.9% for September 1897 (the average for the twenty Septembers was 85.5). The city is so situated as to be affected by shocks from all the various seismological centres of Luzon, especially those from the active volcano Taal, 35 m. south of the city. At the Manila observatory, about 1 m. south-east of the walled city, the number of perceptible earthquakes registered by seismograph between 1880 and 1897 inclusive was 221; the greatest numbers for any one year were 26 in 1882 and 23 in 1892, and the least, 5 in 1896 and 6 in 1889 and in 1894; the average number in each May was 1.44, in each July, 1.33, and in January and in February 0.72; the frequency is much greater in each of the spring summer months (except June, average 0.78) than in the months of autumn and winter. The public school system of Manila includes, besides the common schools and Manila high school, the American school, the Philippine normal school (1901), the Philippine school of arts and trades (1901), the Philippine medical school (1907) and the Philippine school of commerce (1908). The Philippine government also maintains here a bureau of science which publishes the monthly Philippine Journal of Science, and co-operates with the Jesuits in maintaining, in Ermita, the Manila observatory (meteorological, seismological and astronomical), which is one of the best equipped institutions of the kind in the East. The royal and pontifical university of St Thomas Aquinas (generally known as the university of Santo Tomas) was founded in 1857 with faculties of theology, law, philosophy, science, medicine and pharmacy, and grew out of a seminary, for the foundation of which Philip II. of Spain gave a grant in 1585, and which opened in 1601; and of the Dominican co l lege of St Thomas, dating from 1611. Other educa tional institutions are the (Dominican) San Jose medical and pharmaceutical college, San Juan de Letran (Dominican), which is a primary and secondary school, the ateneo municipal, a corresponding secondary and primary school under the charge of the Jesuits, and the college of St Isabel, a girls' school. In 1908 there were thirtyfour newspapers and periodicals published in the cit y, of which thirteen were Spanish, fourteen were English, two were Chinese, and five were Tagalog; the principal dailies were the Manila Times, Cablenews American, El Comercio, El Libertas, El Mercantil, El Renacimiento and La Democracia. There are several Spanish hospitals in Manila, in two of which the city's indigent sick are cared for at its expense; in connexion with another a reform school is maintained; and there are a general hospital, built by the government, a government hospital for contagious diseases, a government hospital for government employees, a government hospital for lepers, an army hospital, a free dispensary and hospital supported by American philanthropists, St Paul's hospital (Roman Catholic), University hospital (Protestant Episcopal), and the Mary Johnson hospital (Methodist Episcopal). There are several American Protestant churches in the city, notably a Protestant Episcopal cathedral and training schools for native teachers. In Bibilid prison, in the Santa Cruz district, nearly 80% of the prisoners of the archipelago are confined; it is under the control of the department of public instruction and its inmates are given an opportunity to learn one or more useful trades. Manila is important chiefly for its commerce, and to make it the chief distributing point for American goods consigned to Eastern markets the American government undertook the harbour improvements, and abolished the tonnage dues levied under Spanish rule. Manila is the greatest hemp market in the world; 110 ,399 tons, valued at $19,444,769, were exported from the archipelago in 1906, almost all being shipped from Manila. Other important exports are sugar, copra and tobacco. The imports represent a great variety of food stuffs and manufactured articles. In 1906 the the total value of the exports was $23,902,986 and the total value of the imports was 21,868,257. The coastwise trade is large. The principal manufactures are tobacco, cigars, cigarettes, malt liquors, distilled liquors, cotton fabrics, clothing, ice, lumber, foundry and machine shop products, carriages, waggons, furniture and boots and shoes. There is some ship and boat building. Lumber is sawed by steam power, and cotton mills in the Tondo district are operated by steam. In the foundries and machine shops small engines, boiler§ and church bells are made, and the government maintains an ice and cold-storage plant. With these exceptions manufacturing is in a rather primitive state. Another industry of importance, especially in the district of Tondo, is fishing, and the city's markets are well supplied with many varieties of choice fish. Manila is governed under a charter enacted in 1901 by the Philippine commission, and amended in 1903. This vests the legislative and administrative authority mainly in a municipal board of five members, of whom three are appointed by the governor of the Philippines by the advice and with the consent of the Philippine commission, and the others are the president of the advisory board and the city engineer. The administration is divided into eight departments: engineering and public works; sewer and waterworks construction; sanitation and transportation; assessments and collections; police, fire, law and schools. There are no elective offices, but there is an advisory board, appointed by the governor and consisting of one member from each of eleven districts; its recommendations the municipal board must seek on all important matters. The administration of justice is vested in a municipal court and in one court under justices of the peace and auxiliary justices; the administration of school affairs is vested in a special board of six members; and matters pertaining to health are administered by the insular bureau of health. The Spanish city of Manila (named from " nilad," a weed or bush which grew in the locality) was founded by Legaspi in 1571. The site had been previously occupied by a town under a Mahommedan chieftain, but this town had been burned before Legaspi gained possession, although a native settlement still remained, within the present district of Tondo. In 1572, while its fortifications were still slight, the Spanish city was attacked and was nearly captured by a force of Chinese pirates who greatly outnumbered the Spaniards. About 1590 the construction of the present walls and other defences was begun. At the beginning of the 17th century Manila had become the commercial metropolis of the Far East. To it came fleets from China, Japan, India, Malacca and other places in the Far East for an exchange of wares, and from it rich cargoes were sent by way of Mexico to the mother country in exchange for much cheaper goods. Before the close of the century, however, a decline began, from which there was but little recovery under Spanish rule. Several causes contributed to this, among them the waning of the power of Spain, an exclusive commercial policy, dishonest administration, hostilities with the Chinese, ravages of the Malay pirates, and the growth of Dutch commerce. On several occasions the city has been visited with destructive earthquakes; those of 1645 and 1863 were especially disastrous. In 1762, during war between England and Spain, an English force under Vice-Admiral Sir Samuel Cornish (d. 1770) and Lieut.-General Sir William Draper (1721-1787) breached the walls and captured the city, but by the Treaty of Paris (1763) it was returned to Spain. In 1837 the port of Manila was opened to foreign trade, and there was a steady but slow increase in prosperity up to about 1890. During this period, however, progress was hampered by vested interests, and the spirit of rebellion among the natives became increasingly threatening. About 1892 a large number of Filipinos in and near Manila formed a secret association whose object was independence and separation from Spain. In August 1896 members of this association began an attack; and late in December the movement was reinforced as a result of the execution in Manila of Dr Jose Rizal y Mercado (1861-1896), a Filipino patriot. It spread to the provinces, and was only in part suppressed when, in April 1898, the United States declared war against Spain. On the 1st of May an American fleet under Commodore George Dewey destroyed the Spanish fleet stationed in Manila Bay (see Spanish-American War). The smouldering Filipino revolt then broke out afresh and an American army under General Wesley Merritt (1836-) was sent from San Francisco to assist in capturing the city. The Spaniards, after making a rather weak defence, surrendered it on the 13th of August 1898. Trouble now arose between the Americans and the Filipinos under the leadership of Emilio Aguinaldo, for the latter wished to establish a government of their own. On the night of the 4th of February 1899 the Filipinos attacked the American army which was defending the city, but were repulsed after suffering a heavy loss. A military government, however, was maintained in the city until August 1901. Tagalog Maynila < may nilad (may (“‘there is’”), nilad a kind of flowering plant once found in the low-lying banks of the Pasig River), probably under influence via Spanish from أمان الله (amān Allāh), “‘God’s protection’”). The capital of the Philippines, located on the island of Luzon. Arabic: مانيلا ar(ar) (maniila) f.
Russian: Манила ru(ru) (Maníla) f.
Manila is the capital city of the Philippines. It is one of the largest cities in the Philippines. Manila is located on the biggest island of the Philippines, Luzon. Manila is by a bay named Manila Bay. The metropolitan area is much larger, and stretches across a thin strip of land to a lake called "Laguna de Bay".